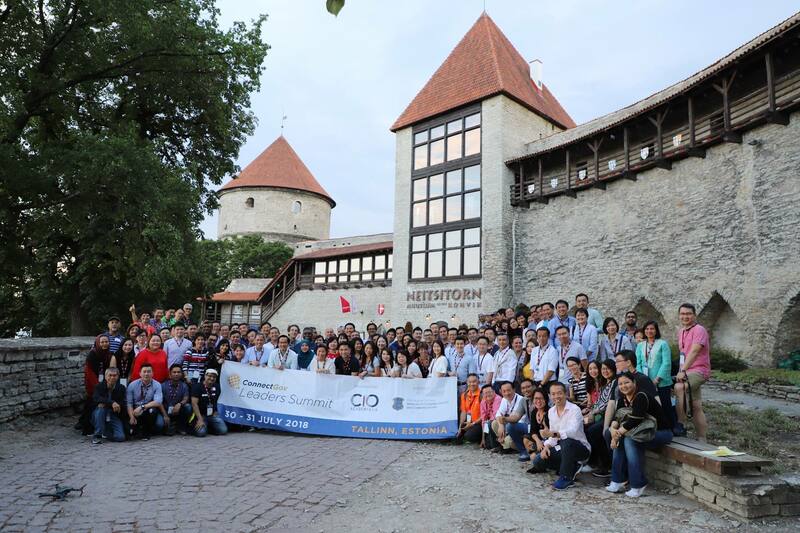 Building on the Digital Disruption and Transformation themes of the past two editions of ConnectGov Leaders Summits, the 2018 programme took on E=Mbracing Cognitive Capabilities (E=MC2) as the conceptual theme and segue that framed and levelled up conversations at the recent 2018 Leaders Summit held in Tallinn, Estonia from 30 to 31 July. Reflecting the evolution of key issues occupying technology leaders over the years and thus serving as snapshots of the changing business landscape, attention in 2018 has shifted towards transformational approaches to more incisive questions on what emerging cognitive capabilities will entail of leaders, governments, organisations and business models. New conceptual frontiers as a result of cognitive computing are set to challenge leaders and organisations in their thinking and approaches to decision-making, business models and collaboration. In this regard, there is no better place to broach these topics than in Estonia, the world’s most advanced digital society. The Summit was organised by CIO Academy Asia (CIOAA), whose main charter is to further access, knowledge, contacts and insights among tech and business leaders through research, advisory services and activities. The 2018 Summit was hosted by the Ministry of Economic Affairs and Communications of the Republic of Estonia, with support from Enterprise Estonia, GovTech Singapore and the Hong Kong Computer Society. 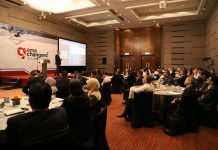 The 2-day Summit saw participation from more than eighty number senior government and industry tech leaders from Cambodia, Hong Kong, Indonesia, Malaysia, Thailand, the Philippines, Singapore and Estonia. The 2018 edition was the third Summit organised by CIOAA – the previous editions having been held in Bhutan in 2016 and Mongolia in 2017. Gracing the opening of the 2018 Summit, Guest of Honour Kadri Simson, Minister of Economic Affairs and Infrastructure of Estonia spoke to the conference’s focal subject on embracing digital and cognitive capabilities. “Government should be at the forefront of digital transformation by serving as enablers and putting in place frameworks and infrastructures around which services can be built”, she said. Furthermore, she added that the public sector should lead in starting the first use cases of AI and enable frameworks to support such initiatives. While supporting with proactive approaches however, she cautioned that security concerns and risks must also be well-managed with the right investment and attention to support credible plans, so that perceived risks do not become barriers. She also stressed the crucial need for skilling and reskilling in this context, and how life-long education must be a pillar for digital society building. The Minister noted that ultimately the challenge of digital transformation is not so much the digital portion but more the transformation aspect. It comes down to governments and private sector organisations collaborating and having the courage to lead, accept risks and try new solutions. Acknowledging the support of the Summit’s Estonian hosts with thanks, P. Ramakrishna (Rama), CEO of CIO Academy Asia reinforced the Minister’s comment on the value of exchanges and collaborations. This is even more necessary in a VUCA world where more Volatility, Uncertainty, Complex and Ambiguous times are expected. To a provocative statement from Gartner stating that only 30% of today’s CIOs will remain in their jobs, he challenged delegates to question the basis and business drivers behind the trends in digitalisation. Referring to discussions at the recent World Economic Forum where super powers are no longer defined as countries with high GDPs but rather, ABCD technological capabilities i.e. AI, Blockchain, Cloud and Data analytics that will increasingly influence humanity more. Underlying these capabilities is data as the new fuel, but leaders need to have a clear grasp of the drivers, and the role of technology within organisations. Against this backdrop of shared concerns, the diversity of Summit delegates from different countries will ensure a good representation of perspectives and sharing of rich insights. Diving deeper into the nature of change imposed by digital transformation, Gregor Hohpe, Technical Director of the Office of the CTO at Google stressed that organisational and cultural transformation must go hand in hand. The nature of change from cognitive computing is no longer linear – rather, it has the potential to change business models such that there is no longer be a fixed target. Organisations that iteratively refine product offerings based on data feedback from analytics and ML will have to contend with business goals that are essentially moving targets. This in turn will depend on how well organisation processes based on Plan/ Execute/Deliver IT frameworks will no longer be adequate. Instead, under this new paradigm, Gregor stressed that delivery will be the starting point of innovation. Beyond the tech and organisational capabilities, he noted that culture remains a challenge that needs to be tackled head-on to ensure environments conducive to ongoing cycles of learning and relentless iteration – and this applies to even organisations that were ostensibly born digital. Gunning for Exponential Gains – Is AI the Answer? Reinforcing the takeaways from the earlier session, Julian Quinn, Regional Vice President for Asia Pacific at Qlik said organisations’ ability to capture the right data and use them are necessary foundations for leveraging on advances AI and ML capabilities. There is also little debate over to the capabilities of various technology platforms – however of much greater and more fundamental concern is the level of data literacy in organisations. Citing a recent Qlik survey conducted with over 11,000 executives across the Asia Pacific (findings at http:// www.dataliteracy.info/research, he remarked that results showed alarmingly low rates of data literacy at only 20% among professionals even though over 70% indicated willingness to improve – implying that organisations might do more to improve their rates of data driven-ness among employees. Organisations should be able to combine and interrogate data with algorithms and findings, and even deploy more advanced techniques like augmented intelligence that brings together business intelligence (machine and statistical insights derived from data without bias) with human intelligence (enabling input from gut feel, experience and intuition). As such, data platforms that can combine and augment human insights with unbiased machine inputs can be key to risk mitigation. Speaking on some of the new Whole of Government initiatives in Singapore, Lim Bee Kwan, Assistant Chief Executive for Governance & Cybersecurity at GovTech Singapore provided insights on Singapore’s vision in becoming a leading economy powered by digital innovation and outlined one of 3 blueprints set out in June 2018 called the Digital Government Blueprint (DGB). “Governments are facing challenges in terms of the security landscape, citizen expectations of more efficient digital services delivery, and changing needs as a result of demographic shifts”, she said. These pressures underlie the DGB initiatives, which has 2 guiding principles i.e. ‘Digital to the Core’ that focuses on delivering services and processes engineered to be fundamentally digital and not just superficial changes, and ‘Serves with a Heart’ that focuses on personal, intuitive and accessible services. Overall, the Digital Government Blueprint (DGB) will come about through 6 strategies i.e. Siim Sikkut, Government CIO of Estonia framed Estonia’s experience with the Whole of Government approach to digital transformation more historically. From initial steps 20 years ago that started with successful experiments, comprehensive public good digital services were rolled out with the exception of so-called high-risk activities like marriage, divorce or buying property, making digital the default mode of government service interaction rather than an option. To date, 99% of government services are digitised, including health records, voting and tax collection. He cited Government-as-a-Platform as an underlying framework that serve to rationalise their stance e.g. with the use of a uniform digital identity signature that has equal recognition in law as hand-signatures, as much as 2% of GDP in productivity is saved. Similiarly, the X-Road as a data sharing platform and protocol across agencies may extend to Industry 4.0 applications that can transcend cross-sector barriers and data silos. “All things AI is a no brainer”, he said, speaking to Estonia’s skills shortage, small size and aging population. Besides exploring more use cases for AI across different aspects of government and services, they are also reviewing laws in the next 6-9 months to examine the full use of autonomous systems across the country. Bee Kwan’s and Siim’s keynotes were followed by a panel discussion on the same theme, in which they were joined by Dr. Sak Segkhoonthod, President and CEO, DGA Thailand, Iwan Djuniardi, CIO, Directorate General of Tax, Ministry of Finance of Indonesia and Ilias Chantzos, Senior Director EMEA and APJ, Global CIP and Privacy Advisor Government Affairs, Symantec. The discussion was moderated by Prof. Annie Koh, Vice President, Office of Business Development, Singapore Management University and Board Member of GovTech Singapore. To meet the real-time demands of data-driven organisations, Koo Juan Huat, CTO of Cisco Singapore spoke of how solutions built on AI and ML can offer next gen capabilities to address evolving connectivity needs. They include autonomous networks that can self-detect, self-optimise and self-heal, and networks based on telemetry to that can diagnose and proactively address detected issues. These new capabilities will also call for infrastructure changes but he set the case for their value with referenced examples. The next segment brought together Juan Huat, Tinku Gupta, Executive Vice President, Head of Technology, Singapore Exchange (SGX), Boonson Jenchaimahakoon, First Senior EVP (IT Group), The Government Savings Bank Thailand and Sekar Jaganathan, CIO, Rakuten Trade Malaysia to discuss approaches to collaboration in future, as well as useful perspectives to address emerging cognitive capability gaps. Speaking to SGX’s operating context and role as a market infrastructure, Tinku Gupta remarked that technology is crucial to its function in serving companies and creating new products. The market’s need to maintain uptime also means that resilience is a core and intrinsic aspect of their USP where cognitive capabilities can help speed prediction and maintenance of system resilience. Koo Juan Huat added that this is where connectivity and network infrastructure is key to ensuring service uptime and resilience. From Boonson Jenchaimahakoon‘s perspective, their key issue concerns inconsistent customer service training standards for the bank’s dispersed 20,000 personnel that affects quality of service. Cognitive capabilities can help address this with automated systems and also enable greater insights into different usage profiles of the bank’s customers. However even with the use of ML and AI or chatbots on the front-end or even for training personnel, he insists that staff will still need to know customers and that the human interface will remain key. In contrast, the main interest for Sekar Jaganathan is to keep costs of trading low on customer engagement fronts as a means to retention and drive mass marketing. The process was designed to ease customer onboarding, allowing Rakuten Trade to grow rapidly; to scale and sustain growth rates, AI and ML capabilities are being explored to support and drive front-end customer services. Security should be in the forefront of transformation with the use of ML and AI capabilities, as small failures that may be overlooked in the past can lead to mega failures, said Ramon Karingal, Chief InfoSec & Risk Advocate APJ for RSA, Dell Technologies. In considering applying newer capabilities like AI and ML to cybersecurity, he noted that the mixed vendor space and operating environment only adds to the complexity – in which case it would be advisable to consolidate and reduce the number of vendors used, plan for chaos or what cannot be controlled. 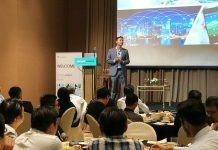 Referencing points in the earlier session and a volatile operating environment that is effectively shifting the goalposts for security vendors, Jeffrey Kok, Vice President, Solution Engineers, Asia Pacific and Japan CyberArk remarked that they are likewise proactively responding to clients’ needs. An example is how organisations are transitioning from having system admins managing security to deploying server-less container-based services instead. He spoke of the move towards DevOps, from secrets management toward secret-less or machine management to secure platforms based on AI and ML-based capabilities. In doing so, he said, they are changing the concept of security management. e.g. in terms of how well fail-over systems work and the configuration of systems to ensure it. She shared that a consumer security survey showed that over 60% would abandon a brand if they were let down in the event of a privacy breach, while 80% claimed that they would blow the whistle and inform regulators. In raising this, she pointed out the high cost of reputational risk for organisations and businesses. Sheena’s session was followed by a panel discussion on the same theme, in which she was also joined by Dr. David Hardoon, Chief Data Officer, Monetary Authority of Singapore, Wu Choy Peng, Chief Technology Officer, GIC and Margus Mägi, Head of Strategic Partnerships, Omniva. Day 2’s proceedings kicked off with a thought-provoking keynote presentation by Ilias Chantzos, Senior Director in EMEA and APJ and Global CIP & Privacy Advisor Government Affairs at Symantec. He spoke of the dynamics and trajectories of innovation and stressed that innovation is not necessarily technological but may simply involve changes in approach or thinking. In the context of an increasingly complex operating environment and vendor ecosystem, a holistic perspective can help organisations better understand and appreciate their options. Environments where risk and security are accounted for can also be the basis for innovating safely, although rather than 100% safety, it could be more useful to consider it from a risk management and control perspective. 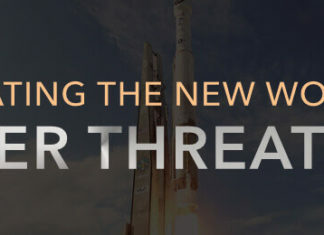 Decisions on managing risks should thus consider elements like system infrastructure design, how AI and ML capabilities can apply, and even roles for humans or less tech- sophisticated agents as another security defense layer. On the topic of recalibrating leadership, Khor Chern Chuen, Managing Director of SAP Asia spoke of the sea change at SAP that has evolved to become more client-friendly. Changes in the marketplace and competing offerings are bringing about changes in mindsets among staff, such that the focus is now on selling outcomes rather than software. 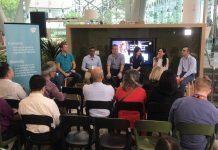 Demonstrating how their recalibration at the leadership level is manifesting in changes, he spoke of a new platform that will enable companies to innovate on the cloud and having about half of their core processes ML-enabled in 3 years. Changes to the tenor of leadership can be instrumental in effecting broader cultural and mind-set change that gets reflected in the marketplace and even offerings/product positioning. Reflecting changes in the tech environment, Dirk-Peter Van Leeuwen, SVP & General Manager, Asia Pacific for Red Hat remarked that while the organisation remains highly successful as the only company world-wide to deliver 65 consecutive quarters of growth, the business model has shifted from an IP-based open source platform towards working with clients using software. This shift in strategic priorities was enabled thanks to the meritocratic culture at Red Hat where the company is viewed as a platform for innovation – a perspective that is brought to customers as an innovation-led practice even as Red Hat continues to view cloud computing and opensource as key drivers of innovation. Dirk-Peter’s quick fireside-chat session was followed by a panel discussion on the same theme. Joining him on the panel was Dr Suhazimah Dzazali, Government CIO of Malaysia / Deputy Director General (ICT), MAMPU; Ramesh Narayanaswamy, Group CIO & COO, CIMB Group and Gaurav Sachdeva, Chief Product Officer, Singapore Press Holdings. The discussion was facilitated by Shirin Hamid from ADB. The closing panel for the Day featured tech business leaders representing Estonia, who shared their perspectives on the basis and impetus for the tech focus and innovation in the country. Marten Kaevats, National Digital Advisor, Government Office of Estonia commented that the basis had more to do with culture and mentality than tech, as their lack of resources and natural psyche in living in a harsh environment helped to foster inventive mindsets and adaptive attitudes. Within the country, the digital initiatives are merely viewed as change where the tech elements does not receive particular focus or highlight. This normalisation of change is made easier as earlier changes have delivered benefits and improve receptivity. Beyond this, the government’s role is also to enable necessary architectures for resilience. Karoli Hindriks, CEO and Founder of Jobbatical spoke of how the attitude to change and resilience is part of her company’s DNA, as the USP lies in matching young talent with opportunities from around the world. Speaking of resilience, Martin Ruubel, President of Guardtime shared how the company developed the basis for blockchains even before it was called that. The impetus for Guardtime came from Estonia’s history of national threats and attacks, and particularly insider threats. Likewise, Urmas Peiker, Co- Founder of Funderbeam spoke of how their proposition was built on the blockchain for good reasons and to enable liquidity and funding opportunities for promising companies, while Dan Bogdanov, Head of Privacy Technologies at Cybernetica shared how they focused on providing e-government solutions that have become synonymous with what Estonia is renowned for. As in other countries, Estonia‘s approach to tackling brain-drain is to make it easy for non- Estonians to participate in their economy through the e-Residency initiative. On leveraging talent and mobility that enables the world to tap into Estonia’s human capital, Jobbatical’s compelling proposition is akin to positioning Estonia as a country-as-a-service.